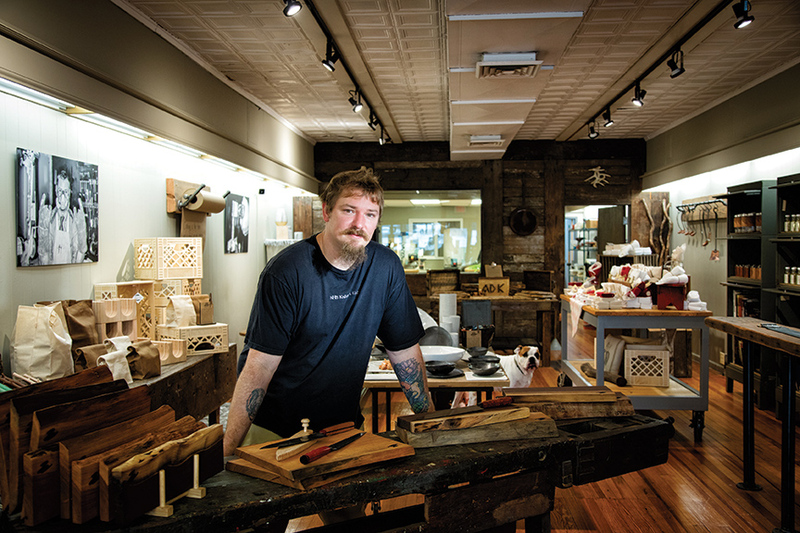 Nate Bonner crafts beautiful - and useable - knives in Maplewood. Photography by Jonathan S. Pollack. 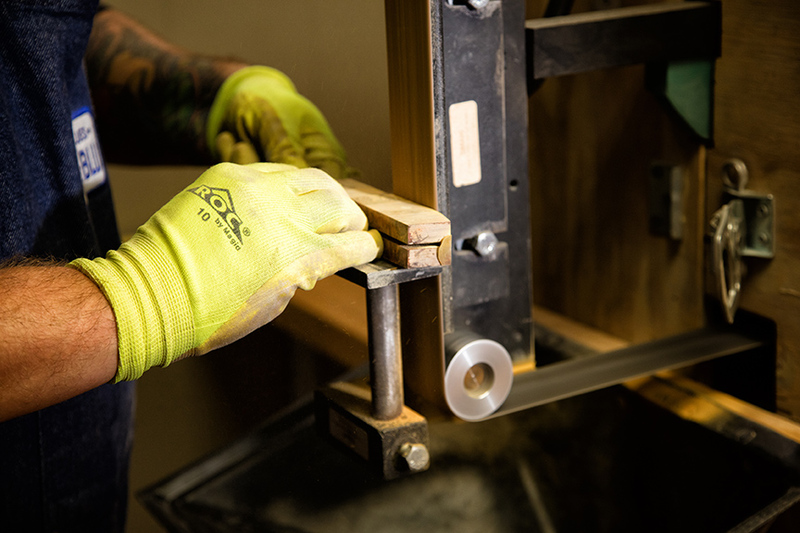 KnifeWorks customers can choose from an array of knives that Bonner has already crafted, or they can customize their own, by determining the size and style, metal (either stainless or carbon), and handle. And while the first thing you may notice about a Bonner knife is the exquisitely marbled wooden handle, the true beauty of Bonner’s work is how eminently usable his knives are. 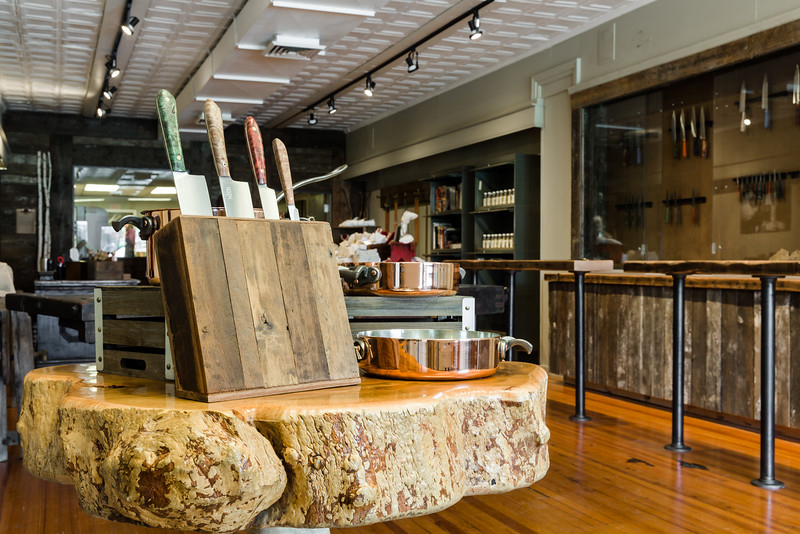 While many of our city’s renowned chefs own Bonner’s knives, enthusiastic hobby cooks find them essential as well. 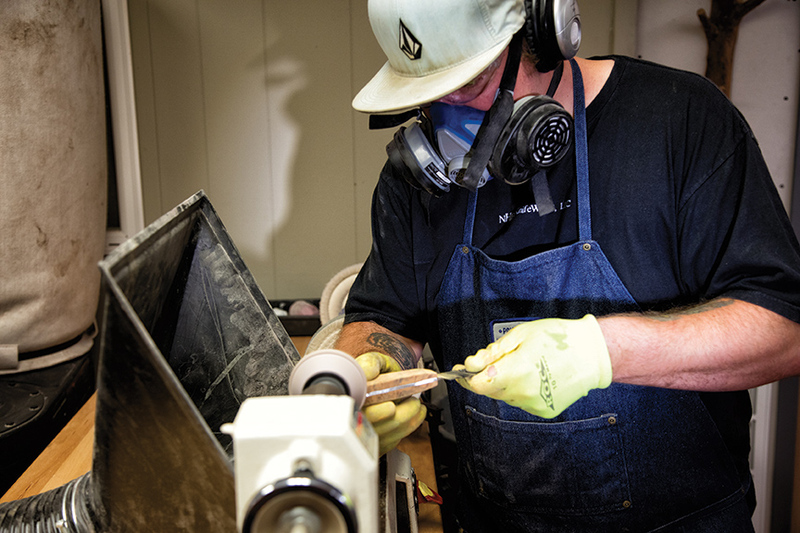 “When you have a good knife, you want to cook at home more,” Bonner explains. “You don’t think, ‘aw, I have to make dinner.' Instead it’s ‘sweet, I get to use my knife.’ ” And, Bonner explains that his knives improve the overall quality of your cooking, because the super-sharp blades don’t smash the cells, or bruise the integrity, of your food. In addition to chef knives, Bonner currently offers utility knives, as well as paring knives, which start at $120. 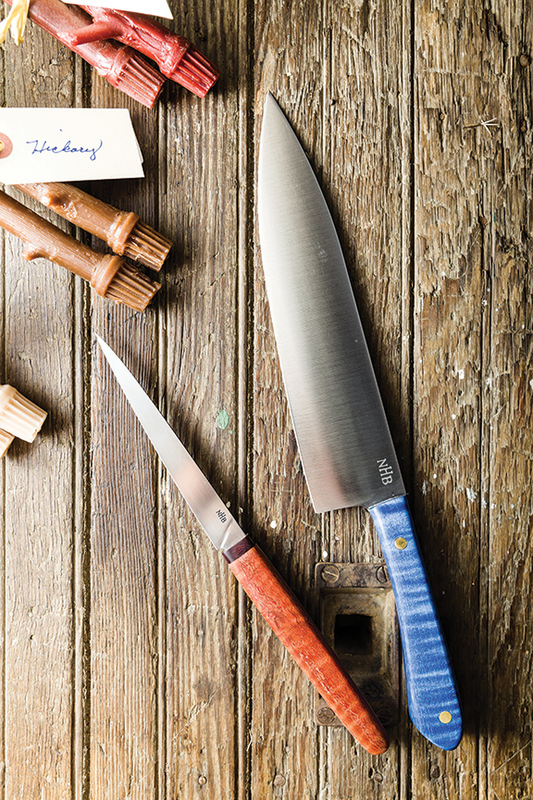 In the very near future, Bonner will release his newest designs, including Santoku-style and boning knives. Bonner is also creating a “BBQ sword,” complete with a wearable sheath, that functions as a giant slicer for larger meat cuts like brisket and whole tuna.